If you want to live immersed in nature and off the beaten tourist track, surrounded only by silence and one of the most incredible marine fauna of the planet, the coral archipelago of Cayos Cochinos off Honduras (formed by two major islands and fourteen cays) is the perfect place. A charming wooden house only a few meters from the sea, surrounded by trees, with a private sandy beach in front of the reef. 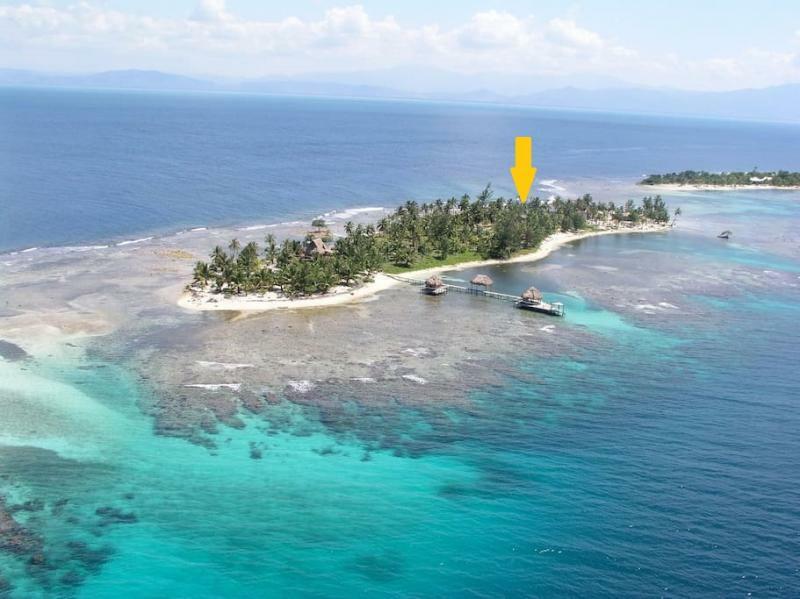 The surrounding land is 600 m2, it is located on Upper Long Cay, a privately owned island. The house has a large lounge, kitchen, bathroom, shower, 3 double beds, fresh water tank.